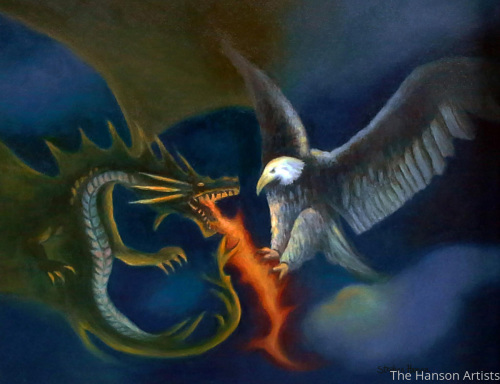 "The Dragon and the Eagle"
A painting I did a few years ago. 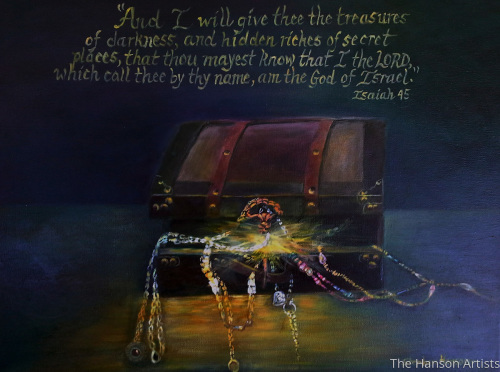 I wanted to depict the treasures that can be found in wisdom, and in knowing God. 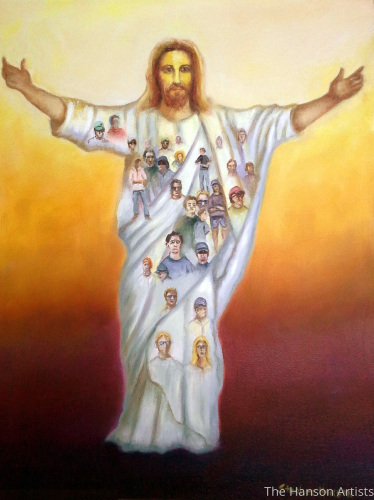 5" x 6.5"6" x 7.75"7" x 9"8" x 10.5"9" x 11.75"10.5" x 13.75"
A painting of Jesus whose body is made-up of the peoples of the world. He comes to welcome all who would come to Him. This was a commission piece I did for someone. 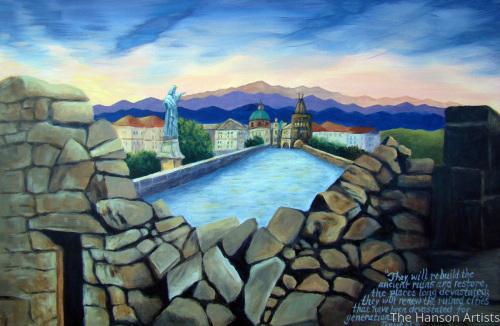 The person wanted a scene of a distant city being seen through an area of rocks and rubble. 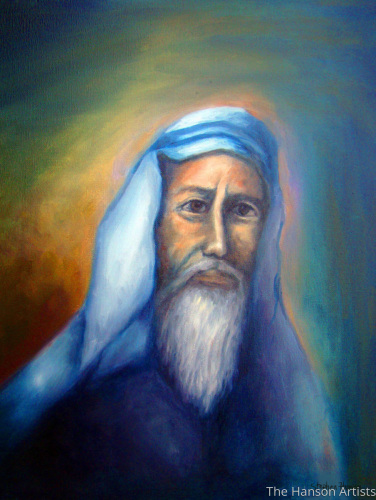 Just a simple portrait of a prophet, seen in his shepherd's garb. His face is set in contemplation. 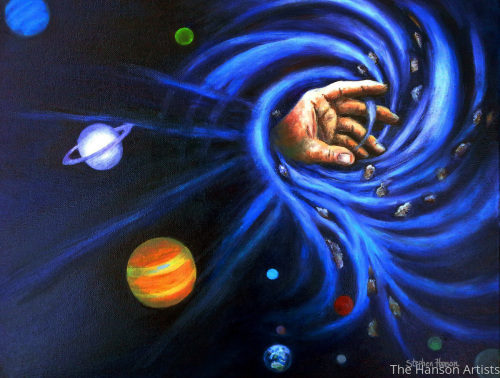 I wanted to depict the hand of God as He created the universe, as the stars and planets were flung outwardly. 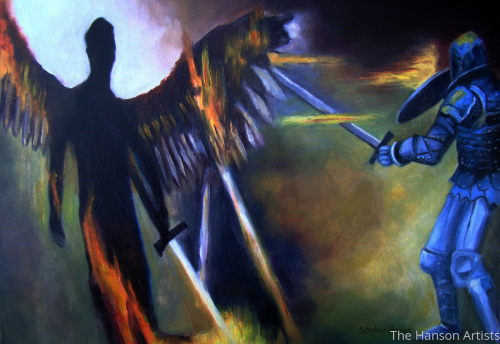 There is always a spiritual battle that goes on between those who wage war against the spiritual hosts of wickedness. With the sword of the spirit we can win those battles. 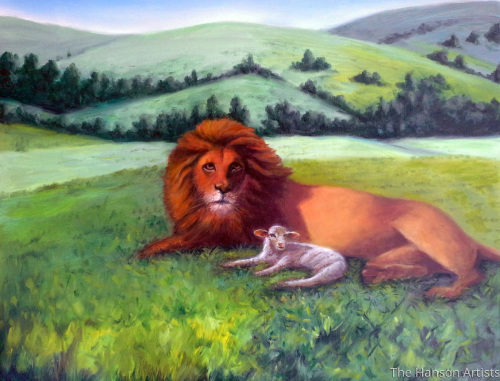 5" x 7"6" x 8.75"7" x 10.25"8" x 11.5"9" x 13"9.5" x 13.75"
"The Lion and the Lamb"
A commission painting from some friends who wanted the lion and the lamb to be near each other, as seen in scripture when new heavens and a new earth will come to be. 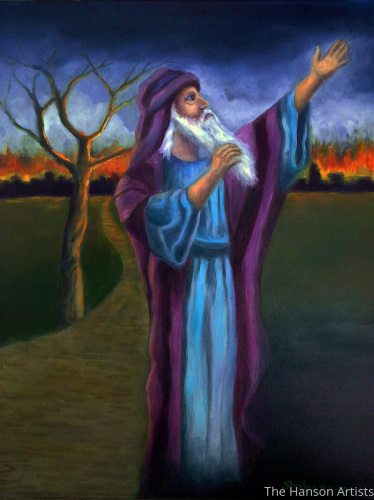 5" x 6.5"6" x 7.75"7" x 9.25"8" x 10.5"9" x 11.75"10.25" x 13.25"
Here is a painting of a modern-day prophet as he speaks unto the heavens above. In the background one sees a city burning, and a premonition of what is to come. 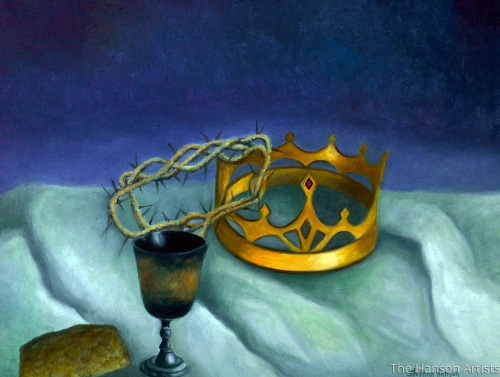 A kingly painting to commemorate the true king. 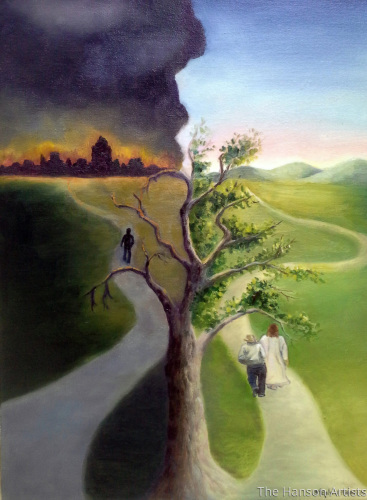 There are two roads we can choose to take in this life. 6.75" x 5"8.25" x 6"9.5" x 7"10.75" x 8"12.25" x 9"13.75" x 10"
The Bible is perhaps the most important book to me of all time. 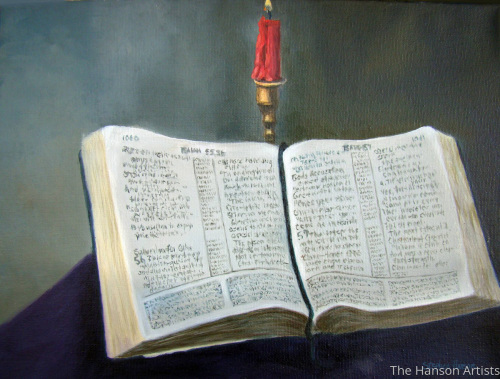 I wanted to depict it with a candle behind it to show the importance of illumination. 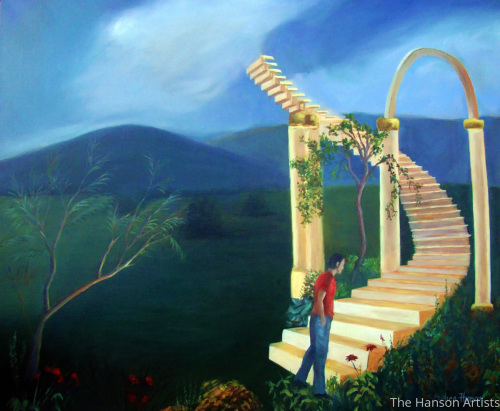 5" x 6.5"6" x 8"7" x 9.25"8" x 10.5"9" x 11.75"10" x 13.25"
This oil painting of mine, illustrates the theme of walking upon a stairway into the clouds, illustrating Jacob's vision, as well as Led Zeppelin's classic song. 5" x 6"6" x 7.25"7" x 8.5"8" x 9.75"9" x 11"10.25" x 12.5"
This painting is a result of a prophetic vision given to me. 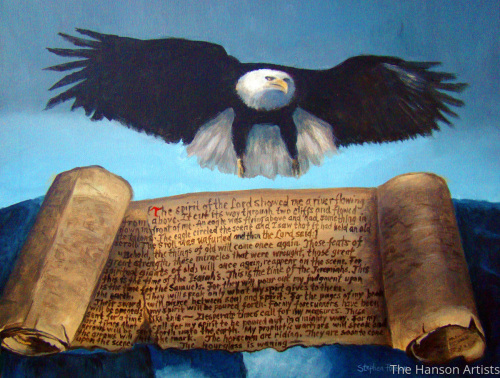 As the eagle was suspending overhead I saw a scroll, and I wrote down the revelation. 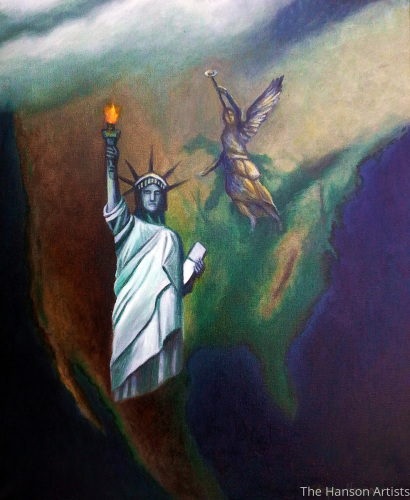 5" x 6.5"7" x 9.25"9" x 12"11" x 14.5"13" x 17.25"17.25" x 22.75"
This is a painting of America as seen with the statue Liberty and an angle of judgment being pronounced upon the land. Our country can expect dark days ahead as the hand of God delivers those things that are to come. 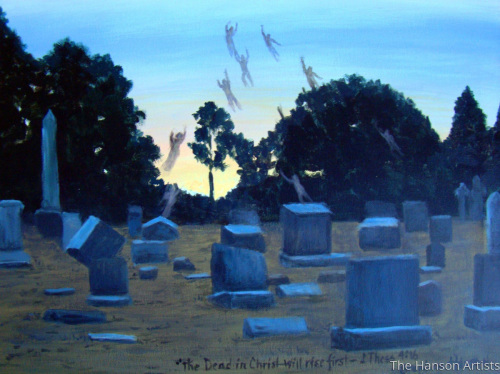 The Dead in Christ Shall rise first. We are told this in scripture. Oil on canvas. Artists have always sought out inspiration for the work that they do. 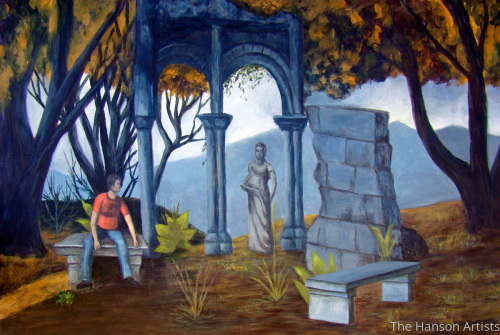 I've always been intrigued by ancient ruins, and particularly the ruins of ancient Greece. 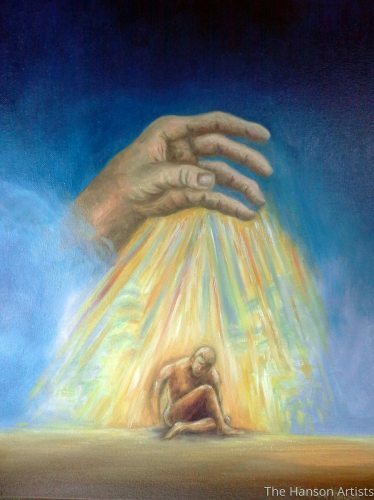 This is a painting that shows the birth of man from the beginning of time. God's hand creates in this instance, the miraculous creation of man. 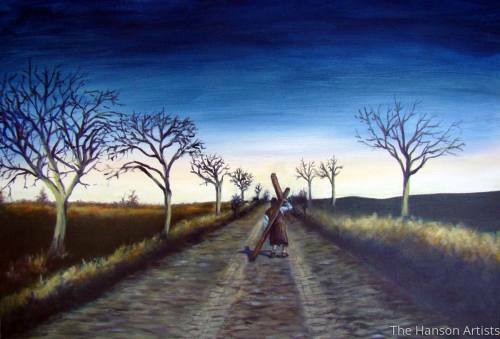 "Take Up Your Cross Daily"
This is a biblical painting that's focus is upon our relationship with the cross of Christ and living a life of service.